These 9 Alaska Travel Tips You Need to Know from a Local is a guest post from Laura at Little House Big Alaska. If you’re at all like me then you know how it goes when you’re planning that first trip anywhere. You read, you plan, you overthink, you over plan, you build it up, you have nightmares about it, and then it goes off smoothly without a hitch. I wondered if, as a local, I could help out in the planning of your first trip to Alaska, maybe make you feel more at ease? So I decided to write this post and give you a few Alaska travel tips from a local. To Cruise or Not To Cruise? I get asked that quite a bit. I answer the same every time. A cruise will show you Southeast Alaska and that’s beautiful, but it doesn’t give you ALL of Alaska. 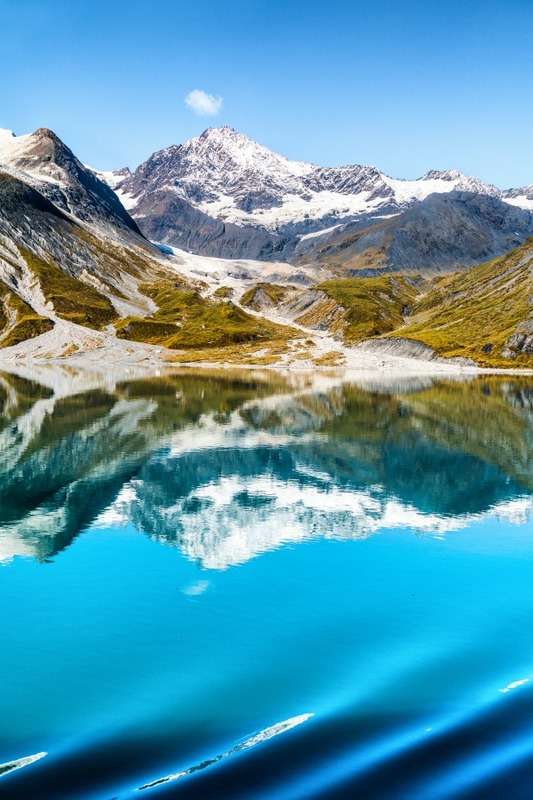 If you want to relax and watch Alaska slide by, then a cruise is for you. 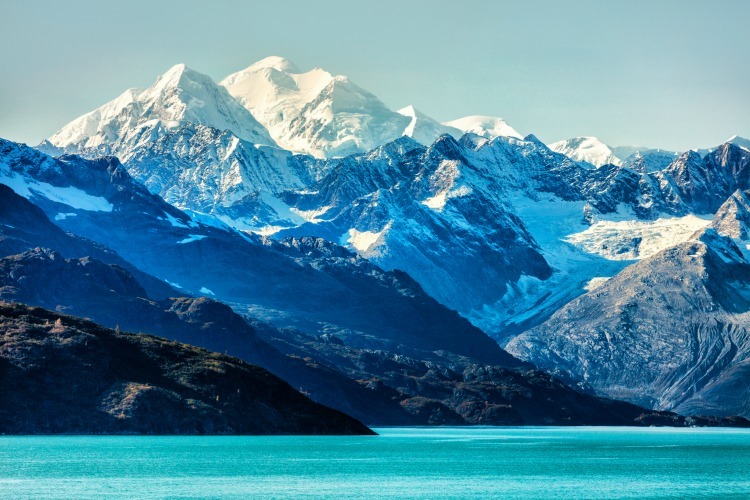 If you want to see small towns, drive up through mountains, get to the end of the highway, got to roadside attractions like a Reindeer Farm then you might be better off renting an RV or a car and just seeing what Alaska has to offer. Both of these options are perfectly fine ways to see Alaska. I suppose you could cruise and then rent a car if you had the time that is. As far as Alaska travel tips go, deciding when to go may be the ultimate factor in your happiness with the trip. Consider a trip in the Fall shoulder season, September, and October. The scenery is gorgeous, the air is crisp, the days are more normal, and there aren’t a lot of tourists. My all-time favorite month is August but it’s still a pretty busy that time of year, so for my money I’d consider September and October. Whenever you go, make sure to check if there are any major Alaska festivals and events going on! Order the Milepost if you’re planning to drive through Alaska. This is a Mile by Mile guide to the highways in Alaska. They tell you how many miles between each city/town/gas station. They have pertinent information on rest stops, parks, and pullouts, in between as well. This is a “pay to play: sort of book so businesses can advertise in them to be featured BUT they do share lots of good information for free as well. Plus it makes a great trip souvenir. You can find just about anything you need here. Sunscreen, bug spray, gluten-free crackers, alternant milks, good pharmacies and gear for any weather you might encounter. If you forget something we’ve got you covered! Decide if you plan to fish and then get a guide or book a charter. Either way, you WILL need a fishing license so do plan for that too. Obviously, you CAN go fishing without a guide or a charter boat but I think the experience is better with a local’s help. They provide all the gear and their knowledge is PRICELESS. Think about a day trip on the Alaska Railroad. It’s a wonderful way to travel and get in to see the Alaska that’s OFF the road system. For my money, you can’t get a MORE Alaskan experience than going on the Hurricane Turn. The Hurricane Turn is an out and back trip that takes you from Talkeetna to Hurricane Gulch where they pull out on the bridge and stop the train for a break and a peek into the gulch. It’s spectacular. From the train, you can see moose, bears, swans, Denali and spawning salmon. Plus it’s a whistle-stop which means it stops for anyone who flags it down and needs a ride, lots of local character getting on and off this train. There are B&Bs, VRBOs, and Airbnbs up here so traditional hotels are not your only choice for a room for the night. If you’re into tent camping we have tons of campgrounds, state, national and private. The costs vary per night and sometimes per day, as in it might be more expensive on a weekend. Always bring a raincoat. If it’s raining you’re covered, if it’s windy it can be a windbreaker, if it’s cold it will help keep the heat in. One of the basic packing tips and tricks for Alaska travel is to bring layers. Feel free to contact me and I can give you any tips for specific towns, highways, trips or recommendations for other services as well. It might take me a day but I’ll get back to you. 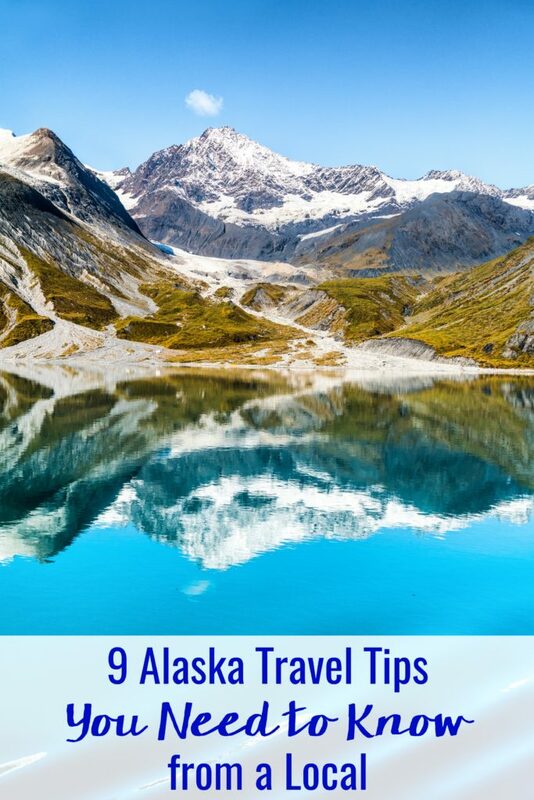 I hope these Alaska travel tips have helped in planning your trip! A few tips from a local can make planning ANY trip better. And in a state as large as Alaska, where the choices seem so far and wide, just a few good tips can make a huge difference.